"Blessings and may God Bless Your Soul John; will miss your indelible Character and Laughter"
OXFORD, CT: John R. Calderwood, age 70 of Oxford entered peaceful rest on December 1, 2017; he was the beloved husband of Shari (Domareck) Calderwood. John was born October 3, 1947 in Derby, son of the late John W. and Margaret P. (Harkins) Calderwood. John was a longtime Residential Builder. He was a U.S. Navy Veteran of the Vietnam War. John was a volunteer Firefighter with the Citizens Engine Co. #2 of Seymour where he enjoyed playing Santa Claus for their children's Christmas parties for over 33 years. 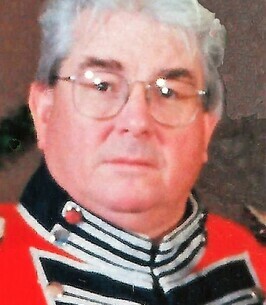 He was a member over 35 years and retired Major in the Governor's Foot Guard for more ; he was a former inspector and Chairman of the Board for the Naugatuck Valley Health Department, and was member and retired Chairman of the Board of the Pomperaug Health Department. John also was an active volunteer and member of the Board of Directors Connecticut Hospice, Branford. He was a member of the David S. Miles Post 174, American Legion. John enjoyed boating and just being by the water; he had a fondness for military Jeeps and military memorabilia. John had a genuine passion for cooking as well. In addition to his wife of 45 years, John leaves his sister, Margaret Flint (Frederick) of Deland, FL., mother-in-law, Vera Domareck of Seymour, brother-in-law Myron Domareck (Geri) of Denver, CO, nieces and nephews, Gretchen Flint, Tacia Neumann (Marc), Erik Domareck (Daniel Locke), Todd Schiavi (Janelle), and Brian Domareck (Sarah); also several grand nieces and nephews. Calling Hours are Wednesday from 4:00 to 8:00 p.m. in the Ralph E. Hull Funeral Home, 161 W. Church St., Seymour. Funeral Services are Thursday at 10:00 a.m. from the funeral home to the Church of the Good Shepherd, 135 Mountain Rd., Seymour where a mass of Christian Burial will be celebrated at 11:00 a.m. Full Military Honors will immediately follow in the church yard. Interment will be private. In lieu of flowers, Memorial Gifts may be sent to Connecticut Hospice, 100 Double Beach Rd., Branford, CT 06405. For directions or to share a memory online, go towww.hullfh.com. 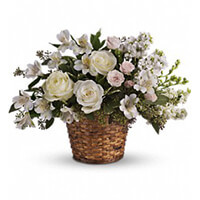 To send flowers to the family of John R. Calderwood, please visit our Heartfelt Sympathies Store. Our deepest sympathy goes out to the family, but especially Shari who has to be without John in the physical being. We met John and Shari through John's sister Margie who we love as a sister and best friend. Our heart aches for all of you. Dear Shari, Eric and I send our deepest condolences to you and the family, we are so blessed to know JOHN, laughing with me hugging me any time he see me I am deeply saddened, he will be missed dearly. Stay strong. Words cannot express how sad I am hearing of John's passing. As a brother fireman at Citizens Engine John made everyone better. He took the "rookies" under his wing and taught us the ropes. He always enjoyed playing Santa for the children's Christmas party and would do anything asked of him, even fly in a helicopter one year. He brought joy and friendship to all who knew him. He will be greatly missed. Sending prayers to John's family as well as my brothers and sisters at Citizens Engine. May he rest in peace. Shari, Words fail us. John was a remarkable man who loved you very, very much. I hope you find comfort in the fact that your loss is shared by the hundreds of folks he's touched over the years.